Cold Steel Viking Sword | BUDK.com - Knives & Swords At The Lowest Prices! A typical Viking sword of the 9th and 10th centuries was simple in appearance, utilitarian in design, and brutally effective. The basic design featured a long, wide blade with a broad central fuller and two keen edges. This top quality replica embodies all of these traits. Measuring 36 7/8" overall, this sword would feel right at home in the grip of rampaging Norseman! The 30 1/4" double-edged 1055 carbon steel blade is hand forged and polished to a brilliant luster. The hilt features a wooden handle covered in leather, with a guard and 5 lobed pommel accented by traditional Celtic knot artwork. 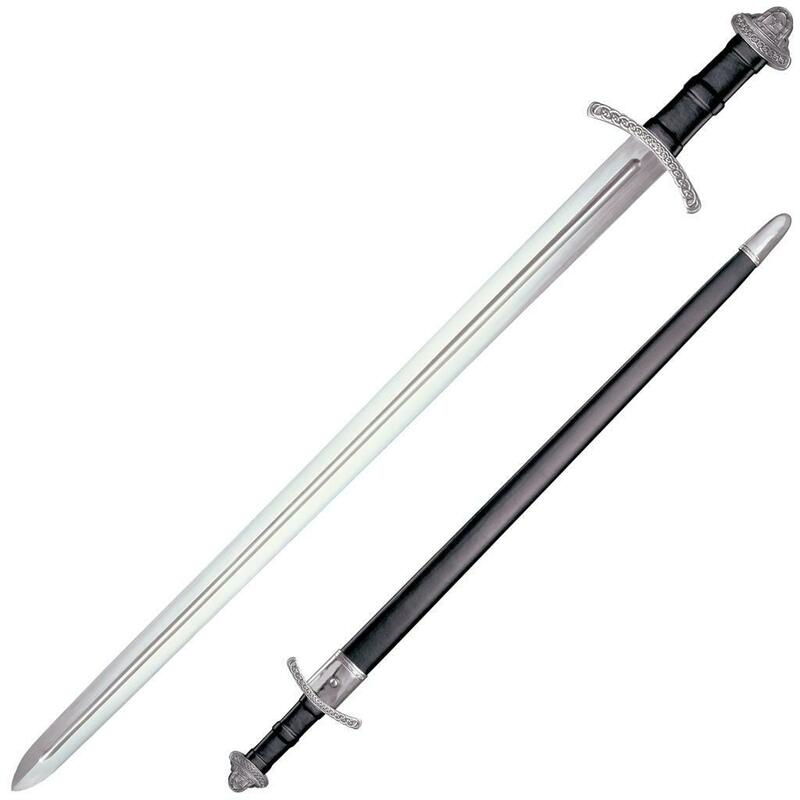 This sword includes a wood scabbard covered in black leather and reinforced with steel fittings. This historical replica will make a fine addition to any serious collection. Cold Steel, 88VS.